There are 67 Assisted Living Facilities in the Muskego area, with 3 in Muskego and 64 nearby. The average cost of assisted living in Muskego is $4,107 per month. This is higher than the national median of $3,346. Cheaper nearby regions include Hales Corners with an average starting cost of $3,700. To help you with your search, browse the 252 reviews below for assisted living facilities in Muskego. On average, consumers rate assisted living in Muskego 3.5 out of 5 stars. Better rated regions include Hales Corners with an average rating of 4.3 out of 5 stars. Caring.com has helped thousands of families find high-quality senior care. To speak with one of our Family Advisors about assisted living options and costs in Muskego, call (855) 863-8283. Deriving from the Potawatomi word for “sunfish,” Muskego, Wisconsin, has three lakes for its 24,755 residents to enjoy, including its seniors who make up over 30 percent of the population. 56 assisted living facilities (ALF) in Muskego and surrounding communities provide the elderly with services such as personal care, housekeeping and medication administration. 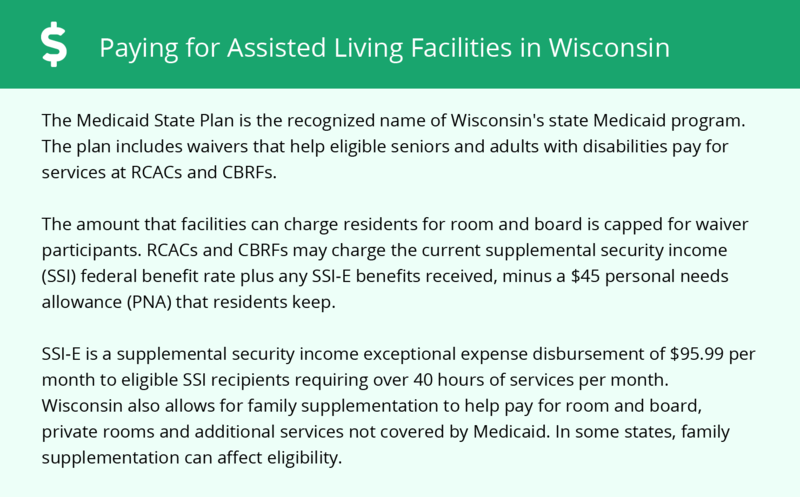 The Wisconsin Department of Health Services, Bureau of Assisted Living, Division of Quality Assurance is the regulatory agency for these and other ALFs in the state. Most seniors rely on pensions, retirement accounts and Social Security. It might be harder to meet financial needs if a senior chooses to live in Muskego, as the overall cost of living is 12.8 percent higher than the national average and 17 percent higher than the state average. Seniors who live in Muskego, Wisconsin, needn’t be overly concerned about physical or property safety. Overall violent crime is just 16.7 out of 100 compared to the national average of 31.1. The property crime rate is 16.5 versus 38.1. Seniors tend to be more prone to respiratory conditions such as asthma, but symptoms of these conditions might lessen for those living in a Muskego ALF. The air quality is better than average (75 out of 100, 100 being the best, versus 58). The risk of developing a respiratory disease is lower than for the metro region, state and country as well. Seniors will find that Muskego’s climate is on the wetter side. The snowfall (42 inches a year), combined with temperatures dipping into the teens, might make it harder for seniors to participate in recreation, get to appointments or feel physically comfortable. The overall Sperling’s Comfort Index is 38, which is not as good as other Wisconsin cities (most sit in the low 40s) and significantly worse than the national average of 54. Muskego, Wisconsin, offers a vibrant culture with senior-friendly activities and resources, such as the Water Bugs Ski Show. Throughout the year, community organizations such as Friends of the Botanical Gardens and the Muskego Historical Society offer both entertainment and connection opportunities. Muskego seniors can utilize specialized transit services provided by the Waukesha County Department of Aging. The main options are the Shared-Fare Taxi Program and Ride Line Program. The Shuttle Service program provides ambulatory help. Assisted Living costs in Muskego start around $4,107 per month on average, while the nationwide average cost of assisted living is $4,000 per month, according to the latest figures from Genworth’s Cost of Care Survey. It’s important to note that assisted living rates in Muskego and the surrounding suburbs can vary widely based on factors such as location, the level of care needed, apartment size and the types of amenities offered at each community. 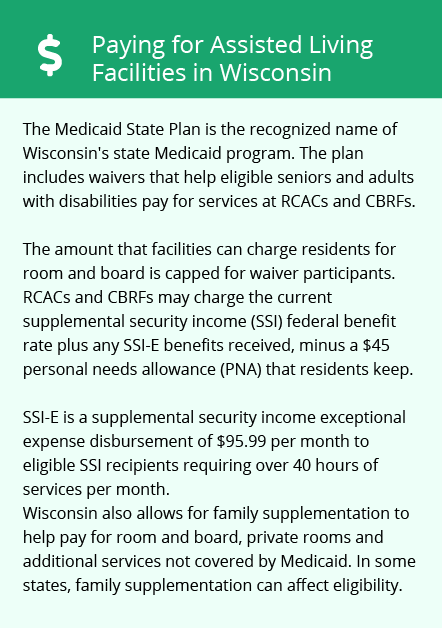 Wisconsin offers help with ALF funding for Muskego residents and others in the state through the SSI Exceptional Expense Supplement (SSI-E). Muskego and the surrounding area are home to numerous government agencies and non-profit organizations offering help for seniors searching for or currently residing in an assisted living community. These organizations can also provide assistance in a number of other eldercare services such as geriatric care management, elder law advice, estate planning, finding home care and health and wellness programs. To see a list of free assisted living resources in Muskego, please visit our Assisted Living in Wisconsin page. Muskego-area assisted living communities must adhere to the comprehensive set of state laws and regulations that all assisted living communities in Wisconsin are required to follow. Visit our Assisted Living in Wisconsin page for more information about these laws.